March Madness 2019 tips off this week, and it’s time to bust out those brackets just to have them — more than likely — busted on the first day. The NCAA Division I men’s basketball tournament is a three-week long 68-team, single-elimination tournament where each team has one goal: survive and advance through six rounds (seven for First Four teams) to be crowned the college basketball national champion. Here’s everything you need to know for this year’s tournament, so you don’t miss out on a minute of the madness. Where can I watch or stream the games? Every game during March Madness can be watched 100% free from your TV, computer, and smartphone. Here are each of the TV channels that will broadcast the 2019 NCAA tournament games along with the NCAA’s official website and apps Apple/Android that will stream all the games. Which college basketball teams made the tournament? 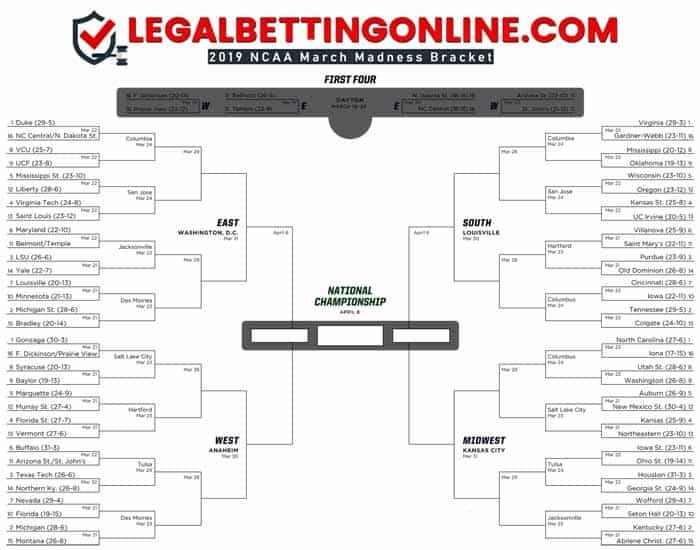 Below you’ll find our printable bracket that includes all 68 teams seeded into initial matchups prior to the start of March Madness 2019.
Who is the betting favorite? The Duke Blue Devils, despite having some ups and downs during the season — mostly due to injuries — remain the heavy betting favorite and enter the 2019 NCAA tournament at +225 ($100 bet wins $225). Here are the odds for all 68 teams prior to the start of the tourney. What are the best free NCAA bracket contests for 2019? In terms of investing nothing (i.e. free) for the potential to win big money or prize, the Yahoo! Sports contest easily comes out on top this year with its $1 million prize for either picking a perfect bracket (good luck with those odds) or placing first in overall points scored. Also, Qlik is offering an enticing challenge if you’re a stat junkie, and it has a $100,000 prize as well. 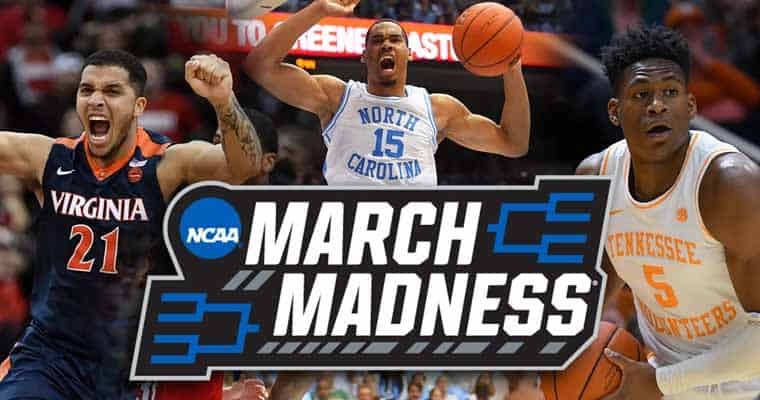 Check out the Free March Madness Bracket Contests for 2019 section of our March Madness page if you want a full list of the best challenges with all the details — including links, rules, and prizes — for 2019’s best college basketball bracket contest. Where can I get more bracketology and betting info on March Madness 2019? That’s easy. Our March Madness page has in-depth information on historical trends and probabilities that’ll help show you what you need to be looking for when start to fill out your 2019 bracket or before you place a bet on this year’s NCAA tournament.